In a completely unsurprising turn of events, the Department of Education yesterday dismissed an administrative complaint filed in May against Harvard University by 60+ Asian American anti-affirmative action activists. The complaint alleged that Harvard University discriminates against Asian American applicants in their race-conscious affirmative action admissions policies but little information was provided to bolster these claims. The Department of Education announced yesterday that the complaint was rejected because it was too similar in content to a pending federal lawsuit, which had been filed late last year by conservative anti-affirmative action lobbyist Edward Blum. The similarities would be predicted: the complaint states in its introduction that it was inspired by the federal lawsuit orchestrated by Edward Blum. Indeed, that appears to be something of an understatement: some of the text of the administrative complaint is thinly-veiled (relatively lazy) paraphrasing of the Blum lawsuit (see below), and the last half of the complaint straightforwardly reproduces the Blum lawsuit nearly in its entirety. One might use the word “plagiarism”, if one weren’t already convinced that both the lawsuit and the complaint were coordinated by anti-affirmative action parties working in tandem — at their press conference this year, the complaint’s authors were open about their close relationship with Edward Blum’s Students For Fair Admissions political action group. The administrative complaint’s footing was also weakened by the fact that it (and therefore, by extension, Blum’s lawsuit) offers limited supporting evidence for their claim of anti-Asian bias at Harvard University. Harvard, in particular, seemed a dubious target for the complaint: that school had already been the focus of a Department of Education and Office of Civil Rights investigation to specifically explore the possibility that Asian American applicants were racially disadvantaged in admissions, and no evidence of discrimination had been uncovered at the school. 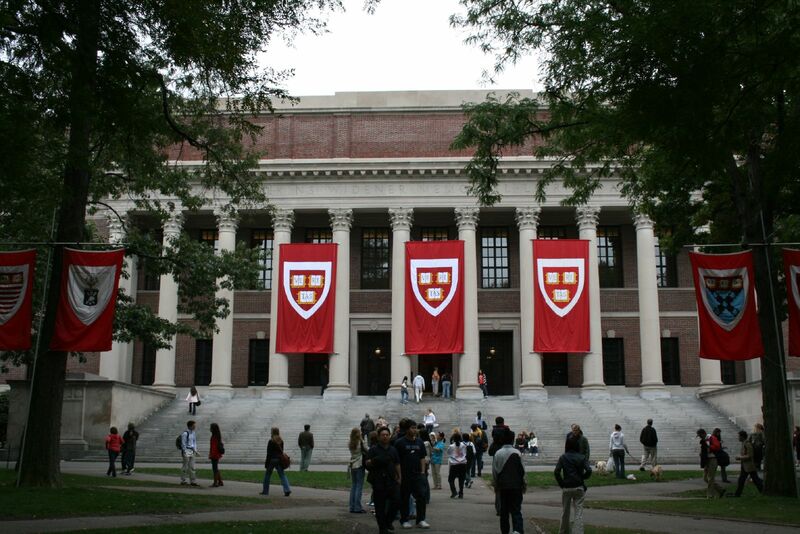 Harvard’s proportion of incoming Asian American freshmen has been steadily increasing. This year, 21% of Harvard’s incoming freshman class is Asian American, which is an identical proportion to the fraction of Harvard’s applicants who are Asian American. Thus, there is no evidence that Asian American applicants are being subjected to a disparate admissions rate compared to other applicants; rather, Asian Americans are apparently being admitted at the same highly selective rate (5.3%) as the aggregate applicant pool. Neither of us believes that any racial or ethnic group should be subjected to quotas. Nor do we believe that test scores alone entitle anyone to admission at Harvard. Students are more than their test scores and grades. Well-constructed and properly implemented admissions programs further our principles of equal opportunity. While we understand that some programs may be imperfect, or even need substantial reform, we do not support any attempt to eliminate affirmative action programs at Harvard or any institution of higher learning. The authors of the administrative complaint are the clear minority for our community. Reflecting this fact, more than 135 national AAPI civil rights organizations and hundreds of concerned individuals signed an open letter earlier this year supporting race-conscious affirmative action policies and opposing the 60+ groups’ administrative complaint. Their ongoing efforts to protect affirmative action can be found at AsianAmericanCivilRights.org. Well, alrighty then. Looks like Zhao and his anti-affirmative action buddies now plan to harass other elite universities with the same angry accusations. Meanwhile, Edward Blum’s lawsuits — which use the Asian American community as racial mascots to advance a conservative anti-affirmative action agenda — hit a roadblock Monday when Harvard University and University of North Carolina asked the courts to put the cases against them on hold pending the Supreme Court’s announcement it would rehear the Fisher v. University of Texas at Austin case. In 2013, the Supreme Court sent the Fisher case — in which plaintiff Abigail Fisher alleged racial discrimination against herself and other White applicants at the University of Texas — back to the Court of Appeals to apply strict scrutiny to the case; when the case was returned to them, the Fifth Circuit again ruled in favour of University of Texas saying that the school’s race-conscious affirmative action policies were fair. I really have to start wondering: what would it take for opponents of affirmative action to finally start reading the writing on the wall?